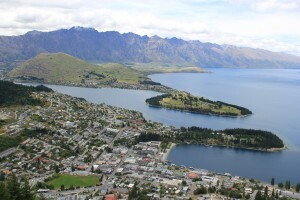 Known as New Zealand’s “Adventure Capital,” Queenstown could also be listed as the country’s party capital. 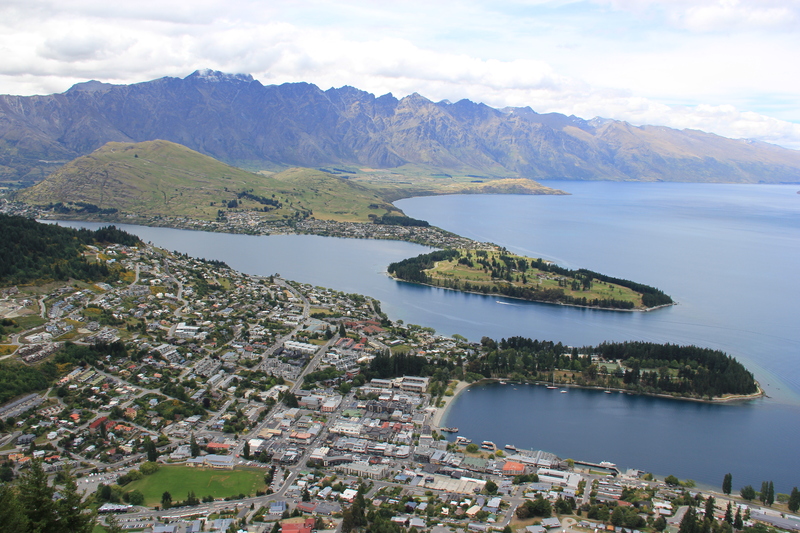 Situated in the mountains next to Lake Wakatipu, this small yet lively town is the place to go for good food, great drinks and even better adventures (bungy jumping, paragliding, rafting, sky diving, jet boating —the list goes on). For fans of the Lord of the Rings movies, nearby filming locations abound. If the weather’s fine, make the 20-minute drive to Arrowtown — a quaint, historic gold mining town that is great for breakfast or a picnic by the river. Three of New Zealand’s Great Walks are nearby, too. 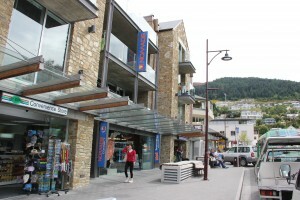 The start of the Routeburn Track is 70 minutes away in Glenorchy; the start of the Kepler Track is a 2-hour drive to Te Anau; about five hours will get you to Milford Sound, though numerous companies in Queenstown run coach buses to and from Milford Sound for cruises or to facilitate getting to the start of the Milford Track. 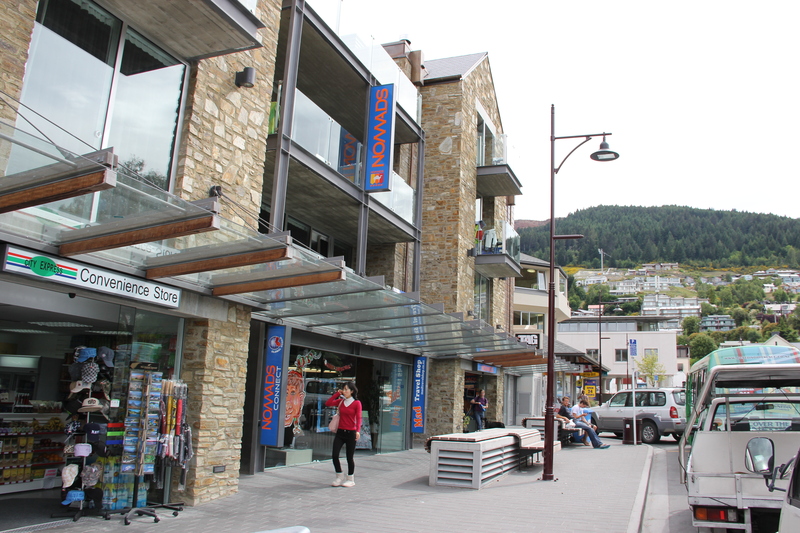 Queenstown has a handful of hostels to check out and some will provide a party atmosphere (complete with drink deals at local bars and organized bar crawls) and others will provide a quieter environment, letting you discover the town on your own. As rambunctious as a freshman-year dorm, Nomads will provide a fun-filled, party-like stay. Come evening, the lounge area, with luscious red couches and long tables, will be filled with guests and all the alcohol they can carry. Once it hits 9 p.m. however, drinking is no longer allowed anywhere in the hostel, but Nomads makes sure the fun continues. Each night, the hostel gives away free drink vouchers, and advertises daily happenings around town, such as Wii night at The World Bar, pool competitions or various bar crawls. With the Nomads key card, guests can scoop up numerous deals at nearby bars and restaurants, too. Nomads is only a few minutes walk to the beach, Queenstown Gardens, and The Mall, a pedestrian-only street with plenty of shops. The purpose-built hostel is modern, bright and is genuinely a fun place to be. The private rooms are comparable to hotel rooms (including better bathrooms than some hotels) and have mini refrigerators, complimentary shampoo and soap, and flat-screen TVs with movie channels; various dorm rooms have spacious balconies with views to the lake and mountains; a women-only dorm is also available. Complimentary tea and coffee is on hand, as well as free toast and spreads each morning between seven and nine. The kitchen is decent sized with plenty of stove tops, but no oven. Each night there is a free dinner cooked by Nomads employees, but get in line fast — it is first come, first serve. The meal isn’t going to overstuff you, but a free bowl of spaghetti, a burger or some curry is always good for those on a budget. If you feel like getting out of the bar-filled city centre, head to Aspen Lodge Backpackers. This hostel is still only a five-minute walk from downtown, but far enough away that late night party-goers won’t keep you up. It is a few minutes walk from the grocery store and library and has off-street parking. With a more intimate feel, you will surely spark up a conversation with other guests, which can sometimes seem intimidating in the larger backpackers, where everybody seems to travel in tight packs. From the upstairs lounge, the gondola can be seen gliding up Bob’s Peak, where visitors can go bungy jumping, luging, or take in views of the nearby mountain range, The Remarkables. The gondola costs around $25 for a return ride, but if you feel like saving some money (and getting a workout), take the hour-long trek to the top via the Tiki Trail. Yes, you will work up a sweat, but the hike isn’t torturous and footing your way to the top makes the views that much better. 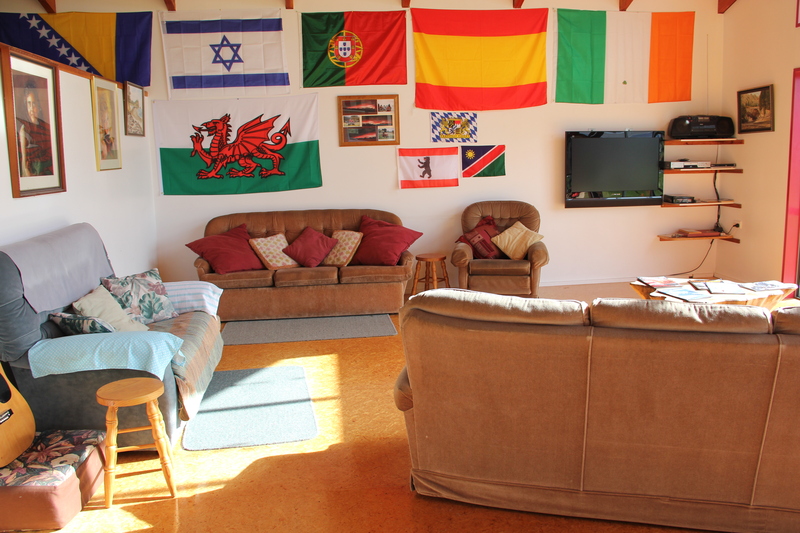 Each section of the hostel has its own kitchen and eating area (three total), as well as multiple lounges where guests can choose from a large selection of DVDs and VHS to watch on the TVs. Private rooms, en suite, are available with some very comfy beds and enough space to keep all your gear. A binder in the main lounge has information on hikes in the surrounding areas, including stats on the Great Walks. The folks at reception will give you great advice on where to eat (favorites include @Thai and Bombay Palace) and if you book an adventure through them, you’ll receive one hour of free internet time. If you are heading west of Queenstown towards Te Anau and Fiordland National Park, (and you should,) check out Bob and Maxine’s Backpackers in Te Anau, situated two hours from Queenstown and two hours from Milford Sound. The hostel, built five years ago and designed and built with Bob’s help, is one of the most clean cut, nicest hostels you will find on your trip. The lounge area has plenty of couches and recliners to sit in front of the fire, or to view the mountains out the floor-to-ceiling windows of this high-ceilinged, open building. There are free bikes to use, cheap wireless, complimentary tea and coffee, and powerful showers. Bob can tell you all about town and will be able to spew off pretty much everyone’s name that is staying the night. Te Anau is the perfect base for doing plenty of hiking. It is the start of two Great Walks, the Kepler Track and the Milford Track, which need to be booked in advance, as well as other walks that don’t get enough credit, but that come highly recommended. Check out Hollyford, Greenstone, Caples, Dusky and many more that Bob can recommend. Also, a Milford Sound cruise is a must, whether you drive there yourself or hop on a bus. If you feel like doing some kayaking, Rosco’s Milford Kayaks comes highly recommended by Bob. The area also has horseback riding, glow worm caves, skydiving, fly fishing and helicopter rides. The east-coast, Scottish city of Dunedin boasts New Zealand’s largest university, The University of Otago, the world’s steepest street, yellow-eyed penguin viewing, New Zealand’s only castle, and the starting point for the Taieri Gorge Railway. The sizeable city is worth checking out, with various hostels and restaurants to enjoy. Penny’s Backpacker’s is just a few blocks away from the city centre, The Octagon, and has a chaotic yet welcoming feel. There is free wireless in the kitchen and lounge, as well as a handful of computers to use if you don’t have a laptop. The kitchen has plenty of seating and enough space for cooking, as well as complimentary tea and coffee. The best part of the hostel is the lounge, which is adorned with plush couches and recliners and will always have other guests hanging out or relaxing with a drink. The hallways are lined with old movie posters, bringing back nostalgic feelings of crappy movies that you don’t really remember anything about (like Sandra Bullock’s The Lake House). The staff is always seen hard at work, especially around the holidays when preparing a feast for the hostel, complete with table decorations and party poppers. Ask about attractions around town, and you’ll get advice on when the best penguin viewing time is (mornings and evenings), how to get to Baldwin Street, the steepest street in the world, and possible coupon opportunities for the train ride. The drive out to the peninsula is well worth the views, even if you don’t end up seeing penguins at Sandfly Bay or Allen’s Beach.